Of course, when I go up in my sleigh I get an even better view, so I’m very lucky indeed! Here are 10 interesting facts about the beautiful Northern Lights, which many children tell me they dream of seeing one day. 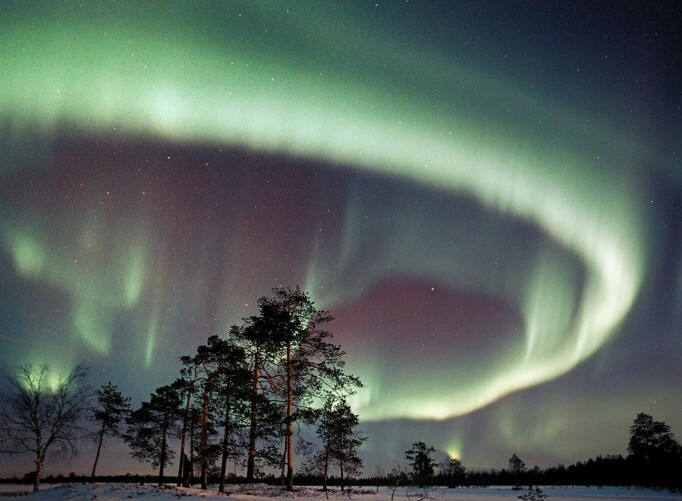 1: Up in Lapland, we call the Northern Lights “revontulet”, meaning “fox fires”. 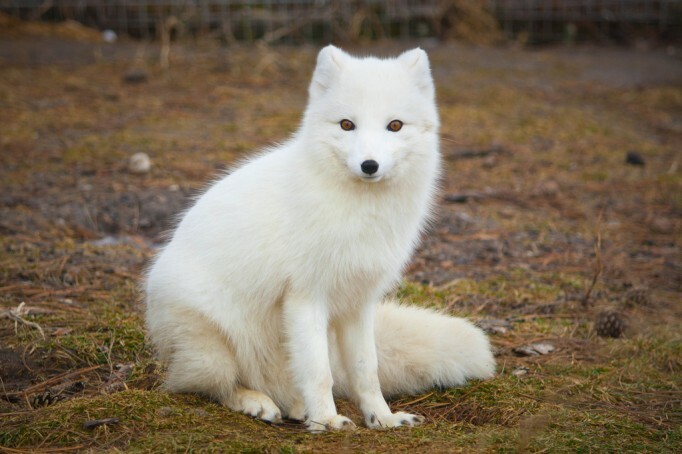 Local people and elves used to think that the colourful swirls of light were made by an Artic fox (like the one below) running through the sky, swishing its big, bushy tail as it went. 2: Now for the science bit: some scientists aren’t convinced by the fox theory, and say the incredible light displays are the result of solar wind (charged electrons flung out from the sun) colliding with gas in our atmosphere to create vibrant waves of green, blue and red across the night sky. 4: The lights that you see in the sky are actually very far away – 100 km, or more than 60 miles, above Earth. This is a lot, lot higher than I fly with the reindeer and the sleigh! 5: The Northern Lights are not only beautiful, they can also be noisy – very, very rarely, we hear clapping and crackling when they swirl about the sky. When amplified, the sounds have a beautiful, other-worldly quality, which you can hear here. I don’t mind it much, but the dogs and reindeer get a little bit of a shock when it happens – particularly Dancer and Prancer! 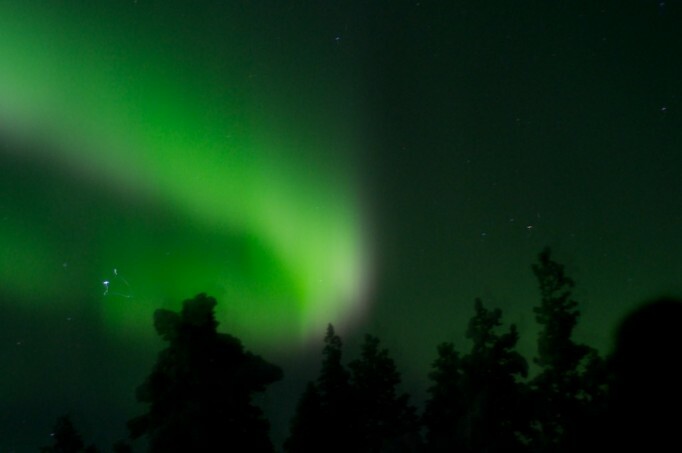 6: The nearer you live to the Arctic, the better chance you have of seeing the Northern Lights, but if you’re lucky you may see them further south. 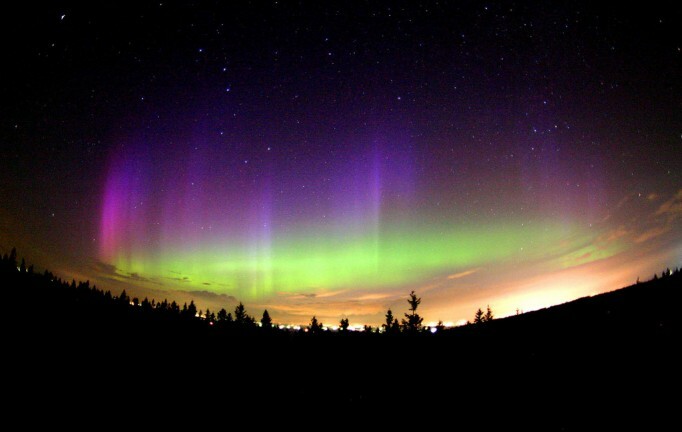 They can sometimes be seen in the north of Scotland as well as Russia, Canada and the northern United States – indeed there is a song called “The Northern Lights of Old Aberdeen” all about their appearances in Scotland. 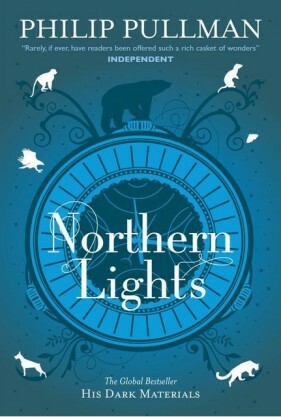 7: The author Philip Pullman chose “ Northern Lights” as the name for the first book in his famous fantasy trilogy His Dark Materials. In the book, the lights are a way of viewing another world. Magical! 8: Famous British TV presenter Joanna Lumley fulfilled a lifelong dream and saw the Northern Lights, which she called “the true wonder of the world”, in a television programme she made for the BBC. 9: The clever people down at NASA believe that 2013 is the perfect year to visit the Northern Lights, as the solar activity that causes them is at a ten-year high!